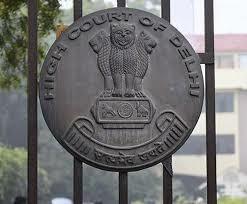 In a major boost to constables of the Delhi Police recruited before 2006, the High Court has dismissed the Centre’s plea challenging a decision of a tribunal on the basis of which police personnel are seeking refixation of their salaries. A centre for taking India’s bamboo mission forward has failed to shift from New Delhi to its ‘headquarters’ in Meghalaya capital Shillong to cater to the largest bamboo-growing region in the country. (Today’s News Headlines in English). The Central government had in 2013 approved the creation of an autonomous society registered and headquartered in Shillong with a fund allocation of ₹292 crore. The society was called North East Centre for Technology Application and Reach. Though NECTAR acquired two spaces in Shillong – one a seven-room guesthouse and the other a small office near the landmark Bethany Hospital – it has continued to function from the office of the Department of Science and Technology. In May, NECTAR’s Director General Baldev Singh Rawat had said the Shillong unit of Central Public Works Department was expected to ready the society’s office in the space provided by the Survey of India within three months. 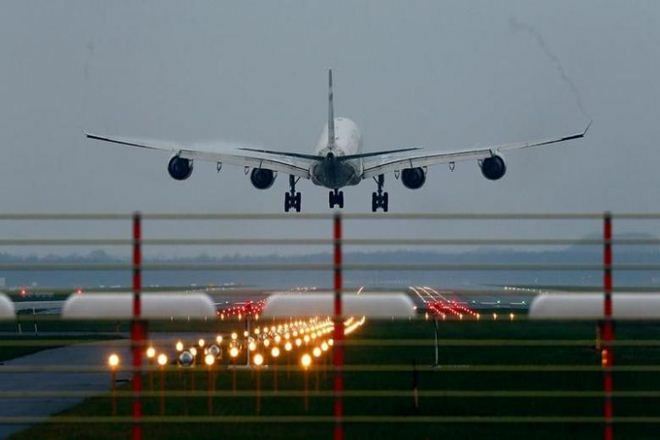 Union Civil Aviation Minister Suresh Prabhu on Monday inaugurated the new domestic terminal building at Gorakhpur Airport along with Uttar Pradesh Chief Minister Yogi Adityanath. Earlier in the day, the Chief Cinister flagged off the IndiGo Gorakhpur-Delhi-Gorakhpur flight. A NITI Aayog constituted group of experts has urged the government to set up a dedicated mission to salvage and revive spring water systems in the country’s Himalayan States, given their vital importance as a source of water for both drinking and irrigation for the region’s inhabitants. The extent of the crisis plaguing the mountainous region was recently evident when more than half a dozen districts of Himachal Pradesh and the State capital Shimla faced a severe drinking water crisis this May after major water sources either went fully or partially dry. While poor water management was said to be the key cause, according to State authorities, they also attributed reduced snowmelt and depressed flow from springs as contributors to the crisis. While Meghalaya with 3,810 villages with springs had the highest number of these water sources in the Eastern Himalayan States, Sikkim had the greatest density with 94% of its villages having a spring. In the Western Himalayas, Jammu & Kashmir had both the highest number of villages with springs at 3,313 and the greatest density of 50.6%. a Kolkata-based company, to supply power to units in the Special Economic Zone in Tirunelveli district. The road to the fourth summit of the Bay of Bengal Initiative for Multi-Sectoral Technical and Economic Cooperation (BIMSTEC) in Kathmandu, Nepal, last week was marked by scepticism and hope. This was understandable, given the grouping’s past performance — modest in the previous 19 years and promising in the past two years. The same blend characterises the summit’s outcome. A dispassionate mindset is essential to assess its results accurately. Get Daily updates, Today’s News Headlines in English. several important decisions have been taken. First, work begins now on drafting a charter for BIMSTEC, which has functioned so far on the basis of the Bangkok Declaration of 1997, and outcomes of the past three summits and the Leaders’ Retreat in 2016. Second, a Permanent Working Committee will be set up to provide direction during the period between two summits and also to prepare the Rules of Procedure. Third, the Secretariat has been promised additional financial and human resources and enhancement of its role to coordinate, monitor and facilitate the grouping’s activities. The Law Commission’s consultation paper on reform of family laws is a progressive document that avoids the advocacy of a uniform civil code merely for the sake of uniformity. Instead, it adopts an approach that would facilitate movement towards establishing a body of civil law that promotes equality within the law governing each community. In other words, it advocates the removal of discriminatory provisions in the law relating to aspects such as marriage, divorce, succession and adoption in all religions — and the adoption of certain universal principles that would address gender bias and other forms of existing discrimination. A simple way of moving towards a common marriage law is to make 18 the marriageable age for all communities and genders. When the age of majority and the age of voting, among other indicators of adulthood, stand at 18, there is no reason for differential treatment on this score. The Commission rightly points out that the present age of 21 for men merely affirms the stereotype that the wife should be younger. Decriminalising adultery and making it a common ground for divorce, simplifying the ‘no-fault’ divorce procedure and introducing ‘irretrievable breakdown’ as a ground for dissolving any marriage are other measures it throws open for discussion. The panel suggests abolition of the 30-day notice period for civil marriages to prevent its misuse by those against inter-caste and inter-religious marriages. It also suggests division of property equally after divorce, and removal of illnesses that can be cured or controlled from possible grounds of divorce. India’s best-ever Asian Games medal haul at Jakarta has brought much cheer. The Indian contingent raked in 69 medals, including 15 gold. It may have lagged at eighth place on the medals table, way behind China with its 289 medals — but compared to recent Asiads, India registered significant progress in many events, with heroic performances among both women and men. Track and field was a happy hunting ground, with India picking up 19 medals, including seven of its total 15 golds. Javelin thrower Neeraj Chopra, whose gold-winning 88.06m makes him among the world’s best, particularly shone. As did Swapna Barman, who kept ahead of the pack to win gold in heptathlon even as she coped with a painful tooth infection and shoes far from ideal for her six-toed feet. Boxer Amit Panghal shocked Uzbekistan’s Olympic champion Hasanboy Dusmatov with a split verdict in the men’s 49 kg category. Shooting and wrestling seized two gold medals each while table tennis broke its Asian Games drought with two bronze medals. P.V. Sindhu claimed the country’s maiden Asiad silver in badminton and Saina Nehwal got a bronze. India should now build on its Asiad success to do better at the 2020 Tokyo Olympic Games than it did in Rio de Janeiro in 2016, when the contingent returned with just two medals. It also needs to ensure that the sport is clean. Today’s News Headlines in Englis, get daily updates from The Tutors Academy. The “treatment landscape” for patients with multidrug-resistant TB (MDR-TB) is set to be “dramatically transformed” following a recent communication by the World Health Organisation (WHO). Based on assessment of new evidence, the WHO made an important change in the regimen to treat patients with MDR-TB, which is resistant to at least two of the first-line drugs. All injectables are to be replaced with a fully oral regimen to treat MDR-TB patients, and the powerful alternative drug, bedaquiline, has been included in the fully oral regimen. South Africa was the first country to scale up access to bedaquiline. In June, South Africa said bedaquiline would replace injectables for treating all MDR-TB patients. In July, it struck a deal with Johnson & Johnson to halve the price of the drug — to $400 from about $750 — for a six-month course of treatment. The company has committed to offer the drug at $400 to India, over 50% cheaper than the earlier price of $900 negotiated with the government two years ago. As per WHO Global TB Report 2017, India had an estimated 84,000 new MDR/rifampicin-resistant-TB cases in 2016 among those notified. Based on the first-ever drug susceptibility testing on nearly 5,000 TB patients (new and previously treated) carried out in India in 2014-2016, 6.19% were found to be multidrug-resistant. India has been getting bedaquiline drug courses (11,000 so far) for free under the conditional access programme of USAID, which will end next year. With the drug becoming cheaper, and its effectiveness and safety now proven, India should waste little time to make the switch to treat all MDR-TB patients with bedaquiline. The National River Linking Project (NRLP), which comprises 29 canals totalling 9,600 km, will involve the movement of 245 trillion litres of water, the study shows. Researchers supplemented data from the National Water Development Agency, which is implementing the project, with over 500 documents culled from various sources. This refers to a phenomenon wherein employees of an organisation are so busy performing a task delegated to them that they ignore the reason why the task is being performed. The activity trap can cause a serious wastage of resources as workers may be able to achieve targets but still fail to fulfil the desired objectives of the organisation. The term was coined by American management expert Peter Drucker in his book, The Practice of Management. In order to escape the curse of the activity trap, Drucker advocated that organisations should focus on management based on objectives rather than meaningless targets. The Law Commission has said that more than ₹4,500 crore will be needed to buy new electronic voting machines (EVMs) and paper trail machines (VVPATs) for “imminent” simultaneous elections to the Lok Sabha and State Assemblies. According to it, an EVM, which includes a control unit, a ballot unit and a VVPAT, costs about ₹33,200. “Thus, the EC has informed that an expenditure of about ₹4,555 crore will be incurred on procurement of EVMs for an imminent simultaneous election,” the draft report read. Keeping in mind the average shelf life of 15 years of an EVM, the Law Commission said that at the prevailing rates, ₹1,751.17 crore will be required for procuring EVMs for conduct of the second simultaneous elections in 2024 and ₹2,017.93 crore for the third simultaneous elections in 2029. 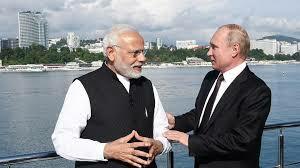 India and Russia are in the process of concluding a logistics agreement, with both sides targeting to conclude consultations before the annual summit in October between Prime Minister Narendra Modi and Russian President Vladimir Putin. The proposed agreement follows a series of such agreements India has signed since the first logistics agreement with the U.S.
India signed the Logistics Exchange Memorandum of Understanding (LEMOA), with the U.S. in August 2016 after a decade of negotiations. Since then it has concluded several such agreements with France, Oman, Philippines, Singapore and for access to the Sabang port in Indonesia. Australia too has sent a draft agreement. Logistics agreements are administrative arrangements facilitating access to military facilities for exchange of fuel and provisions on mutual agreement simplifying logistical support and increasing operational turnaround of the military when operating away from India. The Information and Broadcasting Ministry has issued an advisory to all media outlets not to use the word “Dalit” to refer to people belonging to the Scheduled Castes. The advisory is based on an order of the Bombay High Court on June 6, based on a petition filed by Pankaj Meshram. “It is advised that the media may refrain from using the nomenclature ‘Dalit’,” the guideline said. In a circular on March 15 this year, the Ministry of Social Justice had issued a similar advisory to all State governments that all official communications should use the constitutional term Scheduled Caste instead of the word “Dalit”. He listed eight focal areas of funding that would premise the emergence of the “China-Africa community with a shared future in the new era”. 17. A massive fire raced through Brazil’s 200-year-old National Museum in Rio de Janeiro on Sunday, probably destroying its collection of more than 20 million items, ranging from archaeological finds to historical memorabilia. The cause was not known but many experts said the museum was reeling from years of financial neglect. Ukraine on Monday launched joint military exercises with the U.S. and a string of other NATO countries as tensions with Russia remain high over the Kremlin-backed insurgency in the country’s east. The drills start a week before Russia holds its biggest military exercises since the Cold War, with the participation of China and Mongolia. The United Arab Emirates has selected its first two astronauts to go on a mission to the International Space Station, ’s ruler said on Monday. Meaning – the holding or expression of opinions at variance with those commonly or officially held. Get Today’s News Headlines in English, and daily updates only on The Tutors Academy- The Hindu.